Quick Denta 3D software is included with the DWP-80S and powers print production in three easy steps. Pre-configured with the optimum parameters for creating frameworks, trays and base plates with an easy-to-follow workflow wizard. This allows users of all skill levels to import STL files and print with minimal effort. Using DLP (Digital Light Processing) technology the DWP-80S builds layers of resin which hardens after being cured with UV light. A proprietary lens on the DWP-80S ensures a highly accurate and consistent result. 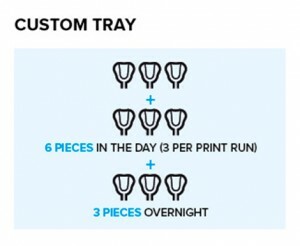 The square work area (80 x 80 mm) is ideal for printing multiple custom trays, base plates and frameworks. Quick Denta Software enables users to nest multiple jobs for printing, i.e. select up to 4 different frameworks at once. 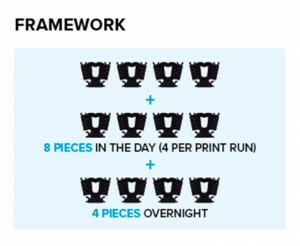 Only one type of component can be printed in the same print run. 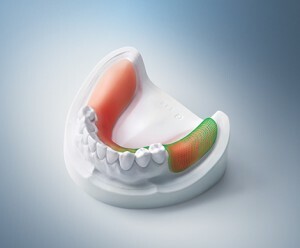 The Quick Denta software enables an easy post-production process which, when combined with the Roland post curing unit, delivers optimal results. 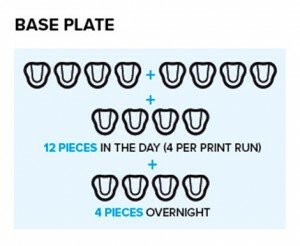 If the base plate resin or the custom tray resin does not cure sufficiently, the job will not meet biocompatibility requirements. It is mandatory to use the genuine resins and post curing unit for producing the applications above. 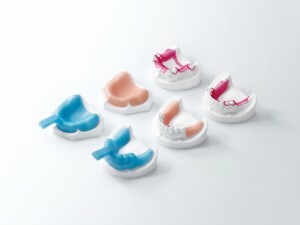 With Quick Denta, setting up a file for 3D printing is no longer a manual process. It automatically adjusts 3D data to produce the most efficient and stable position on the printer’s work surface. The optimum angle of orientation can also be automatically saved as a preset value and configured for each type of model being made- eliminating the need to reset values each time. Quick Denta provides accurate, timesaving and cost-effective production by calculating the exact amount of resin needed for each job.